This section is designed for venting over insulting job posts. From time to time completely and utterly insulting jobs are posted on craigslist. I surmise that many desperate, poor (in more respects than one), and unsuspecting young professionals routinely respond to these insulting ads. Whether out of a desperate desire for experience, a need for cash at the near poverty level, or sheer boredom– these private practitioners are taking advantage of the market. At least one other blog has caught on to this and has provided a “grade report” for some despicable craigslist posts. “Look, I’m just annoyed that this nobody law firm, which probably doesn’t pay that much because it can’t be that busy if it can offer a “very good lifestyle” feels it needs to limit its candidate pool to those who are currently employed when, in any other market, tiny law firms would be thanking their lucky stars to have one of the currently laid off attorneys with stellar credentials and qualifications even consider their firm. Namely, to facilitate the cathartic effect venting can have on the current stupor infiltrated on young lawyers by the current economy. If nothing else maybe this section can provide some strength to others to push back on these types of offers, to keep the profession noble and respectable, and to publicly ridicule those who wish to prey on the weak. Please share your stories and check out what I will refer to as the “Hall of Shame” job posts listed over to the right side of this page under subcategories. We are looking for one soul-less/bloodsucking lawyer to aid in filing a class action lawsuit against Western Washington University (and perhaps other state institutions) for allowing us to graduate without any usable skills that could help us get jobs. 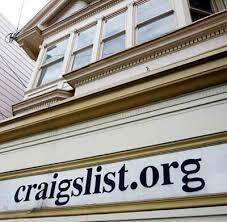 We have looked through countless job postings on craigslist.com and found that we are not qualified for any of them. Said lawyer must be diabolical enough to think this will work. Cannot offer payment, because we don't have jobs, but if you win the case, there will be plenty of money for you. * Your bonus, if earned (by billing 2100 hours per year), will consist of a one-year membership to a “food-of-the-mouth” club of your choice. In 2008, every associate took advantage of this valuable program and has benefited greatly for their hard work and dedication. It is true that increased poverty and unemployment have taken the real of the deserving students from them and they are forced to work on less in the competitive market. that is the reason we need to give better deduction to our generation so that they get better opportunities. Yeah. I also have same point of view. Thanks for sharing this. http://www.essaysmine.com/ is a online writing service which you can seek any time for completing your article.